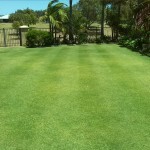 Dans Lawns Dunsborough offers residential, domestic and commercial lawn mowing and garden maintenance. We offer cylinder, rotary, or ride on lawn mowing. 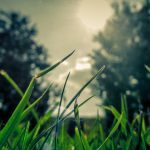 We can create a custom lawn care program including weeding, pest control and fertilising. Rubbish Removal – lawn clippings, prunings, gutter debris. We offer reticulation maintenance services. We can repair an existing irrigation system. For installation or any big jobs we can recommend local companies.